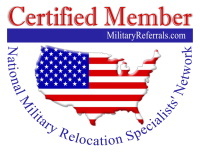 MilitaryReferrals.com and MilitaryReferrals.org ( we own both domain names) was founded in 2004 for the purpose of bringing together real estate professionals who specialize in military relocation. By exchanging referrals and knowledge, each Member is able to increase the volume of overall transactions as well as improve the quality of services provided to military customers and clients. We are owned and operated by The Real Estate Resource, a licensed real estate broker based in Northeast Florida and specializing in Military Relocation and online Real Estate and Marketing Services. Our Founder and Broker-owner has 35+ years experience in real estate, marketing and military relocation. Why are our Membership dues so LOW? Our parent company, The Real Estate Resource, has underwritten most of the organization's expenses since 2004, believing that there was an important need for better, more ethical relocation services for our Military service Members and Veterans. We have recently included "Sponsors" and Advertisers for financial assistance. All Sponsors and Advertisers have been screened for quality and selected based on our Members' need for their products and services. To be included on this site they are required to offer our Members discounts and specials on their products and services. Member savings on services, supplies and equipment can easily pay the annual dues many times over. 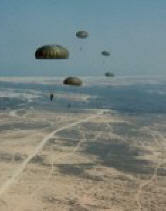 For additional information, we welcome your inquiries at info@MilitaryReferrals.com.